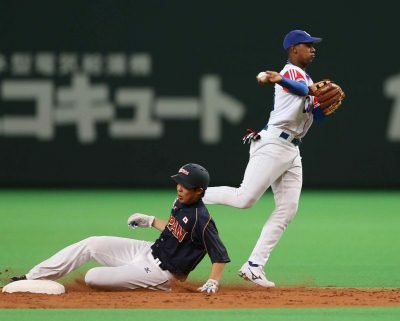 IBAF sanctioned Games and Tournaments involving National Teams offer points for Men’s and Women’s Baseball World Rankings. The International Baseball Federation (IBAF) has announced the expansion of the World Ranking platform and makes it available for its member federations to earn additional points for the IBAF Men’s and Women’s Baseball World Rankings. After reviewing and ensuring proper protocol be followed based upon the IBAF instructions, the official sanctioning of IBAF would be given to organizers of events with the implications on the Baseball World Rankings. In relation to Article 63-64 of the IBAF Statutes, international baseball games or tournaments to be held between National Teams of different countries must have the prior sanction of the Continental Confederations and IBAF and the details of those games or tournaments must be communicated to the Continental Confederations in respective areas and the International Baseball Federation Headquarters. Baseball World Rankings will only ever be impacted when the competition is duly sanctioned by the IBAF. Certified National Teams must be involved in those games and be playing other certified National Teams. The IBAF is only able to sanction competitions outside IBAF Baseball World Cups if the National Federations (Host) properly communicate to the IBAF and follow the instruction indicated. The Thunder Series and Samurai Japan competitions that were co-organized last November with the Chinese Professional Baseball League and Nippon Professional Baseball received the status of IBAF sanction as per the directive of IBAF Executive. As such, the winners for the games between national teams were given the ranking points. Contact IBAF headquarters and its Confederations and apply for the IBAF sanction in writing on an organizational letterhead. On organizers media outlets (website, broadcasting, media backdrop, printed materials such as official program, tickets, accreditation cards, newspapers etc if any) it is also requested to include IBAF recognition (Logo and word "IBAF Sanction") and produce one IBAF banner to be placed on fences at fields for the IBAF sanctioned games. This banner can be detachable and does not necessarily need to be permanently installed on the fences. Data files will be provided upon request based on the dimensions available and NFs must use the provided layouts for printing and placement of IBAF logo and banner. The costs of printing and installing the banner shall be at the expense of those seeking for IBAF sanction.